The Health Wildcatters accelerator in Dallas announced its third class of startups Wednesday, including companies in digital health, medical devices, and telemedicine. Notably, women entrepreneurs lead half of the 10 startups, the accelerator says. One of the companies, Houston’s Noninvasix, was part of the inaugural cohort of startups at the Texas Medical Center’s accelerator, TMCx. The entrepreneurs will participate in a 12-week program that will culminate in a demo day in November. Startups receive office space, programming, and access to the program’s mentors. Health Wildcatters says its first two classes have raised $5 million within six months of finishing the program. 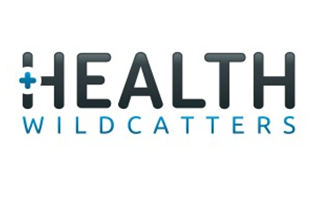 Health Wildcatters was founded in 2013 to boost young medtech and healthIT companies; it makes an initial investment of $30,000 and takes an 8 percent stake in each company. —Codegi (Dallas): An automatic coding software for clinical notes and electronic health record (EHR) documentation. —Dynofit (Los Alamos, NM): A wireless smart electromyography system that helps people with stroke, traumatic brain injury, and cerebral palsy gain control of their muscles. —Dualalms (Dallas): A system that delivers nebulized agents prior to laryngoscopic examinations to eliminate the common discomfort and complications that occur from the exam. —Flow MedTech (Atlanta): A company developing a medical device to reduce the high risk of stroke in millions of patients diagnosed with an irregular heartbeat (atrial fibrillation). —md Portal (Austin, TX): A healthcare software company with an asynchronous telemedicine platform that allows patients to see a physician remotely using tailored questionnaires and photos. —Insight Optics (Plano, TX): A company using mobile imaging technology to allow primary care physicians to record fundus examinations—a critical tool in preventative and diagnostic healthcare—and forward results to ophthalmologists for review. —Noninvasix (Houston): A company that has developed a way to conduct accurate, noninvasive monitoring of fetal welfare during labor and delivery using optoacoustic technology. —Obaa (Cambridge, MA): A company that is helps primary care physicians connect with specialists during patient encounters using Google Glass technology. —Vidas Sanas (Dallas): a Website that provides unique bilingual wellness solutions for employers and healthcare providers targeted to improve the health of Latino populations.